Check out my latest essay, about my misadventures in Rajasthan, in the Wall Street Journal. There were countless other places where the boy could have spit. The road we were on was certainly no stranger to all manner of human emissions. The walls and stoops nearby were already mired in layers of filth. Open gutters were practically issuing invitations for his saliva. I wasn’t standing between him and any of these options. But for some mysterious reason, foregoing all the more suitable receptacles that surrounded us on this dusty lane in Rajasthan, he elected my backside the winning recipient. I’d spent the days leading up to that moment slipping into the role of tourist in India, with mixed results. I’ve floated in the Dead Sea, watched whirling dervishes in Cairo, downed lobster in Maine, bargained in the souks of Marrakesh, gone sailing in St. Maarten, befriended flamenco dancers in Granada, and taken in magical sunsets in Italy, all with groups of girlfriends. But my own motherland, high on many travelers’ lists of dream destinations, holds all the pleasant but predictable banality of home sweet home. It’s where I go to visit my grandparents, shop for saris, and catch up on sleep — the Indian translation of a weekend at my parents’ house in suburban Massachusetts, with stray cows hindering traffic instead of deer. This trip, I decided, would be different. I would approach India with the wonder of a foreigner, a guest in my second home. Armed with a hefty Lonely Planet and a top-of-the-line camera, I set off to explore the land of my parents’ birth with the picture-snapping enthusiasm of a Japanese tourist. No palace or museum would be left undocumented on my quest to rediscover my heritage. I was prepared to guzzle bottled water by the liter and pay triple the going rate for cab rides. This newfound zeal came with its share of hiccups. For years I’ve been instructed to keep my mouth shut when out shopping in India, lest the salespeople hear my Valley Girl-accented Urdu (peppered with incorrect gender agreements, over-the-top Bollywood-acquired expressions, and random English words) and hike up prices. But with tight jeans, hot-pink Pumas, a giant camera dangling from my neck, and a wad of gum snapping rhythmically in my mouth, I stuck out like, well, an American. But when we emerged from a claustrophobic medieval stairwell, the view took what little was left of our breath away. My unfortunate mother was also roped in to serve as my personal photographer, reluctantly chronicling my budding modeling career as I hammed it up in front of any background I deemed sufficiently picturesque — which was approximately every four feet, by her estimation. These shutter-happy ways must have been what singled me out as a target in the first place. On this particular afternoon in Jodhpur, I found myself smiling for my umpteenth shot under an enchanting blue arch. While my mom fiddled with the zoom, I heard light footsteps approaching from the alley behind me. There was more than ample space for the unseen person to pass on either side. I had almost perfected a pose that would make Kim Kardashian proud when, with all the force of a fountain, a boy that couldn’t have been higher than my waist spurted a torrent of saliva in unfathomable quantities all over my unsuspecting posterior. Then he stepped back and giggled, surveying his work with pride. It took a second for the spit to soak in and the encounter to register. But when they both did, a torrent of my own spewed out. The boy froze, his smile quivering, evidently baffled that his innovative method of unleashing anti-tourist venom could have yielded anything less than sheer joy. But most of all, he appeared flustered to see me cursing at him in words he could actually understand. From unknown places deep within me erupted gaalis — swears — I didn’t even realize I knew (thanks again, Bollywood!). His grin vanished and he backed up against the wall. I raged on, dramatically directing choice words not only at him but at many generations of his forefathers before him. Traffic literally stopped as passersby materialized to gawk at the spectacle, some with amusement, some with apathy, and some, in my support, with looks of disgust directed at my pint-size nemesis. I gave up and began to walk away, only to get a second wind and double back to fume with renewed gusto. “Yeh tera bhai hai? Is this your brother?” I shrieked at two random fellows who had emerged from the alley to watch the commotion. “No, no, definitely not,” they said, distancing themselves, intimidated by the wrath of this Khan. When I exhausted my arsenal of filmi dialogue I realized my mom was gaping at me wordlessly from a few feet away, mouth half-open, camera still in hand. By then I could feel the phlegm stiffening on my denim. “Let’s go. I’m over this. I need to clean up,” I snapped. The crowd parted and I stomped back to the hotel, validated by what I chose to believe were stares of respect and awe. Later, my mom gestured toward the camera. In the midst of my invective-laden tirade, she’d actually snapped a photo — the little boy cowering against the wall, my five-foot-two-inch frame towering over him. There it was, with impressive composition, captured for posterity: the moment I finally earned my Indian street cred. 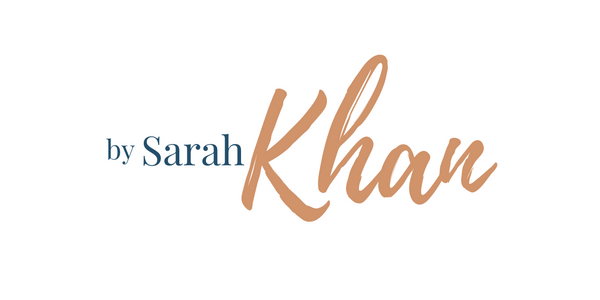 Sarah Khan is an editor at Travel + Leisure in New York. She blogs at http://www.bysarahkhan.com. Follow her on Twitter at @BySarahKhan. Excellent article, very well written. Your imagery heightens the reader’s senses. You truly have some talent here, hope to see a book out of you someday. Best of luck. Cheers. I’d give a whole helluva lot to have seen that scene! Great article and beautiful picture. The poor kid probably has a problem with last season’s Seven for All Mankind jeans.